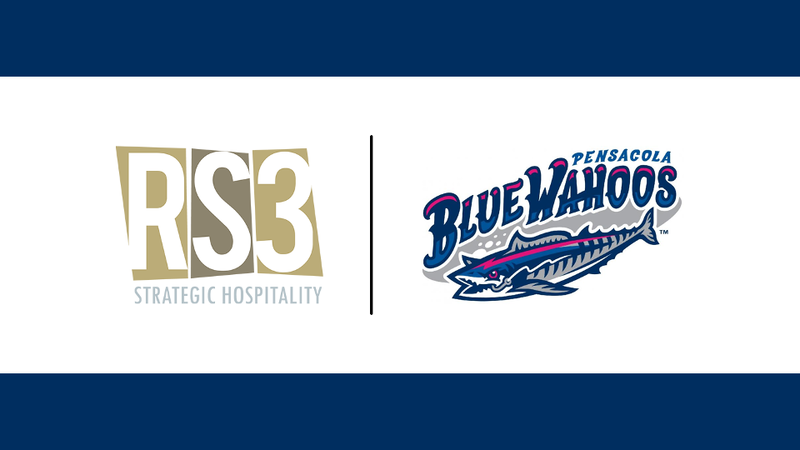 PENSACOLA, Florida - RS3 Strategic Hospitality, a division of Ryan Sanders Baseball, and the Pensacola Blue Wahoos, Double-A affiliate of the Minnesota Twins, announced a new partnership on Thursday that will bring the Round Rock, Texas-based food and beverage provider on board to serve Blue Wahoos Stadium. "We are excited and honored for the opportunity to provide our signature brand of strategic hospitality to the historic City of Pensacola," RS3 Senior Vice President Jay Kudla said. "Our culinary concepts, storefront renovations and new innovative dining experiences will pay homage to the City's local roots in baseball, naval aviation and great seafood." RS3's renovations to Blue Wahoos Stadium will feature state-of-the-art strategic hospitality services aimed at improving the fan experience. This will include four new signature brands, with each menu thoughtfully crafted to provide a new degree of value, variety and cuisine at the stadium. These will be unveiled in mid-March, prior to the start of baseball season. RS3 currently provides its signature "+1" hospitality services at a variety of other venues, including an amphitheater, golf courses, a racetrack, exhibit hall, restaurants, pubs, stadiums and arenas. With a foundation steeped in baseball, RS3 has provided additional premium consulting services for both the Round Rock Express (Triple-A affiliate of the Houston Astros) and Sacramento River Cats (Triple-A affiliate of the San Francisco Giants).